Beautiful shot ! Like! Congratulations. congratulations for the BIP award. critique. A lucky shot to say the least! Really appreciate you looking my friend. 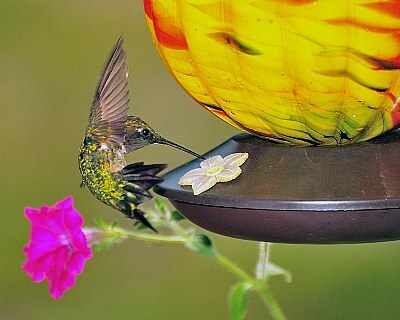 The colors are amazing, they also jump out at you, matching the hummingbird's wing motion. Very lemon taste, cool and fresh. Thank you Barbara.....Got lucky with this one! Your to kind Ayan....Many thanks my friend!!! What to say.. Great capture Paul, colour, composition everything is perfect. Amazing capture. I can improve alittle more. Aw thanks buddy but really just real lucky. hand. That would be awesome. Ive seen it done! Thanks again Jose for looking and the kind words! Think you train this guys for the perfect pose.